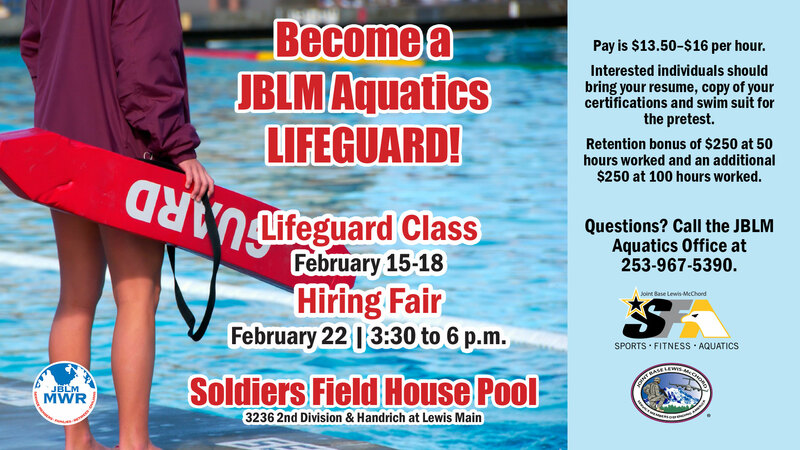 Date: Feb 15 2019, 4 p.m. - 7 p.m.
Take the free lifeguard class Feb. 15-18 and then come to the Hiring Fair Feb. 22 to become a certified lifeguard! $250 retention bonus available after 50 hours worked and an additional $250 at 100 hours worked. Info: +1(253)967-5390.